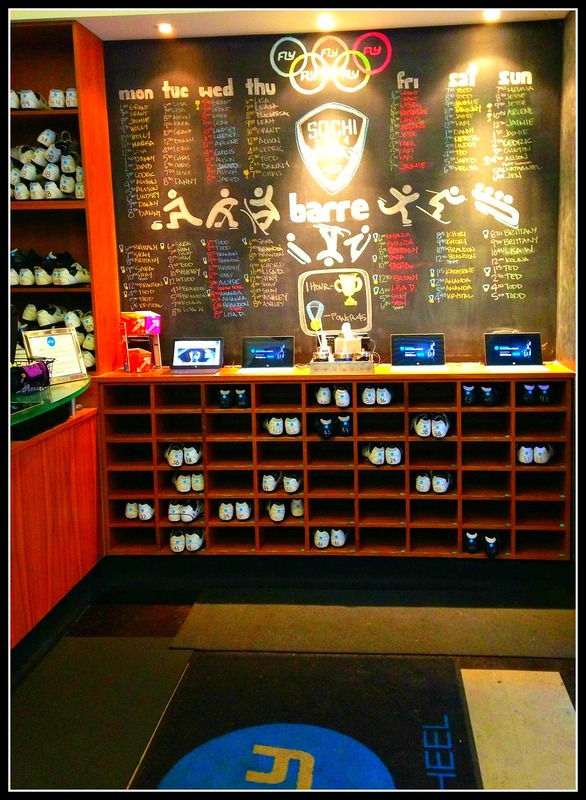 One of my favorite workouts to do in San Francisco is Barre. For those who are not familiar with Barre it is a workout that combines Pilates, yoga, and ballet moves to help make sculpted and lean muscles. It really centers on using small movements and helps to work on muscles you do not typically focus on in other types of workouts. 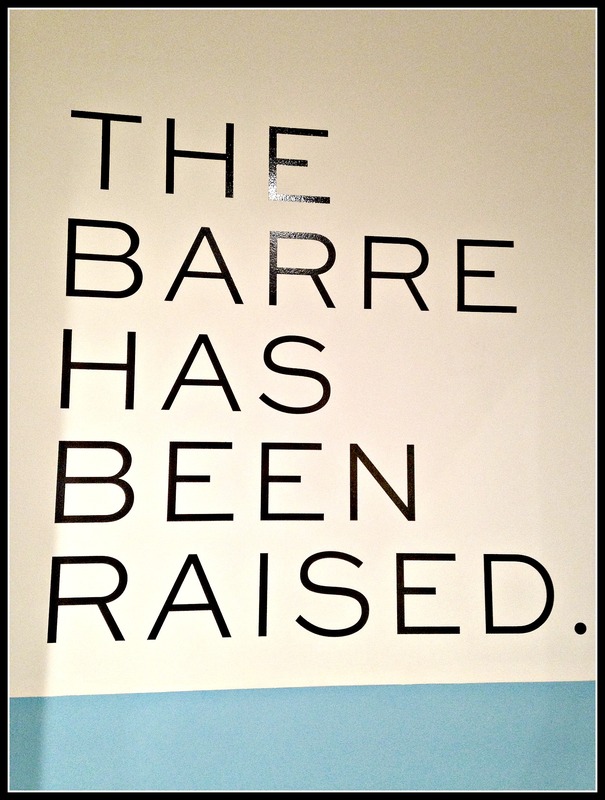 I started practicing Barre about 6 months ago after a back injury and have become obsessed! 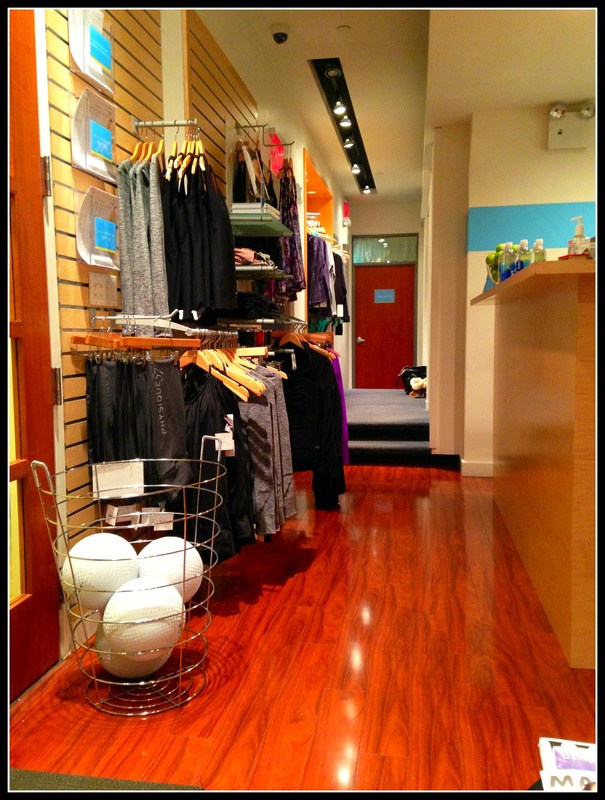 Physique 57 is a barre studio I had wanted to check out for a little while now. I had first learned about it this past December when I was looking for a Barre DVD to bring home with me to Colorado Springs over the holidays so I did not have to venture out in the snow every morning. After reading a lot of various reviews online Physique 57 kept coming up as one of the top choices. I ended up getting the DVD and boy was it good! I felt really worked after doing the 55 minute session. I could only imagine what the actual class was like! There currently are no locations in the Bay Area so I knew that I would have to make it a priority when I came out to NYC. When booking my class they had a deal for new clients of buy one class and get one free, which I very much appreciated when classes were $36 each. The first class I checked out was the mixed level class on Monday from 7:00-8:00am at the 57th street location. The second class I did was the intermediate class on Thursday from 11:30-12:30. The 57th street location was not too bad at about 0.7 miles from my hotel or a pretty quick 10-15 minute walk. I really enjoyed both of the classes and I like how Physique 57 uses weights in the class so you really feel like you are working your muscles more than if you were solely focused on body resistance. Both days had very energetic and charismatic teachers which for the 7:00am class I really needed in order to fully wake up. The studio was really clean and the amenities were great, it made getting ready before work a snap. Overall I would give Physique 57 4 out of 5 stars. With really the one down side being the price per class and only having 3 locations in the city. The one nice thing about staying at the Night Hotel was even though they did not have a gym themselves they were affiliated with the Rockefeller Equinox Gym, so I was able to use that facility for free. It was only 0.4 miles away or a 5-10 minute walk from the hotel and I ended up going to this gym both Tuesday and Wednesday morning. Unfortunately I was not able to take any of the classes, but the facility was large, spacious, and had a ton of machines and weights to use without being overly crowded. I also liked that they had complimentary sweat pants and t-shirts for people to use if needed. Overall I would give Equinox 4 out of 5 stars. 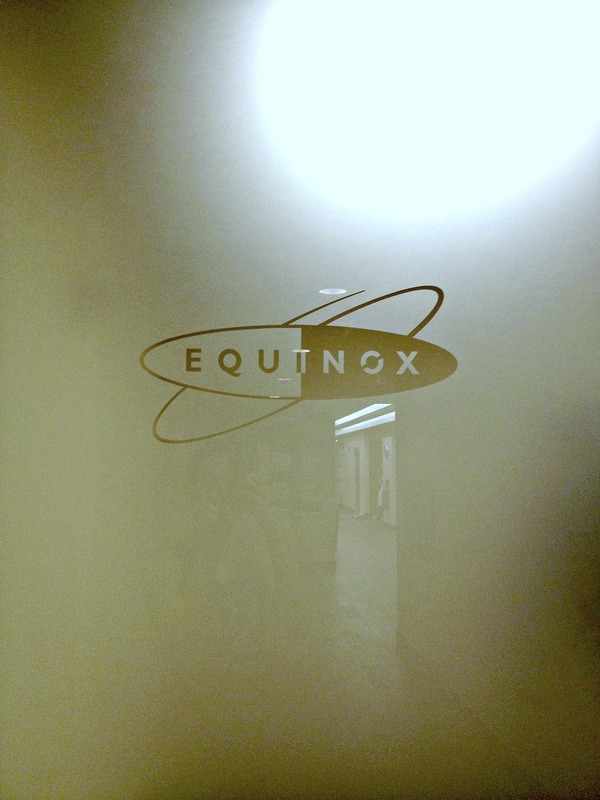 My friend Dana who lives in the city and uses Equinox says on average it costs about $200 a month to be a member, but the classes are great and there are so many locations it makes it easy to find something close to home or work. My feeling is if I lived in the city this would end up being my gym of choice. I am obsessed with Flywheel Sports! I tried it for the first time last year when I came out to NYC. They had a new member program at the time where you could try one Flywheel Spin Class and one Fly Barre class for free. Of course I tried both since it was a $32 value for each class. After my first time going I now make it a priority every time I come out to NYC. This time I ended up doing the spin class on Thursday morning from 9:30-10:15 at the Flatiron location, which was about a 1.2 mile walk from the hotel. Luckily this was my first day not working so I was able to enjoy the 30 minute walk. 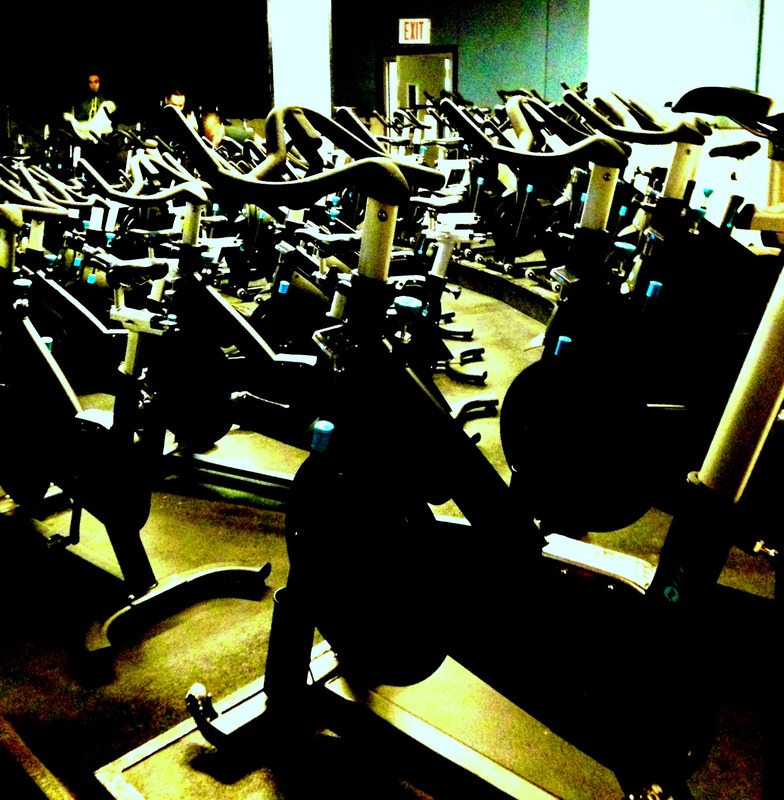 The Spin class is done in a dark room with a TV screen up top so participants can opt to have their bike and stats posted throughout the class. For someone who really is driven by competing this really helps to push and motivate you. I also like how the bikes show both torque and RPM. What I find in typical spin classes it is hard to gauge how much resistance you should really have on the bike when instructors tell you what number to be at. With the Flywheel bikes it takes all of the guessing out of it. The instructor will inform you step by step where you need to be, for example between a 25-30 torque and above 80 rpm. The music is energetic and you do get to use weights in one of the song sequences which I love because then you are getting some resistance training in there as well. Overall I would give Flywheel a 4.5 out of 5. The studio is a little small and crowded, so getting ready there on a daily basis would be hard. However it does offer free bottles of water, fresh fruit, and free shoe rentals. I just wish there was one in San Francisco! Soul Cycle was my last class of the week on Friday morning. I did the 9:30-10:15 class in Soho, which was 0.3 miles or 5 minutes from the house I was staying at with my friend Katie. I have done Soul Cycle once before in Los Angeles so I was curious to see how the New York classes compares. The space was cool with the studio upstairs and the locker rooms downstairs. 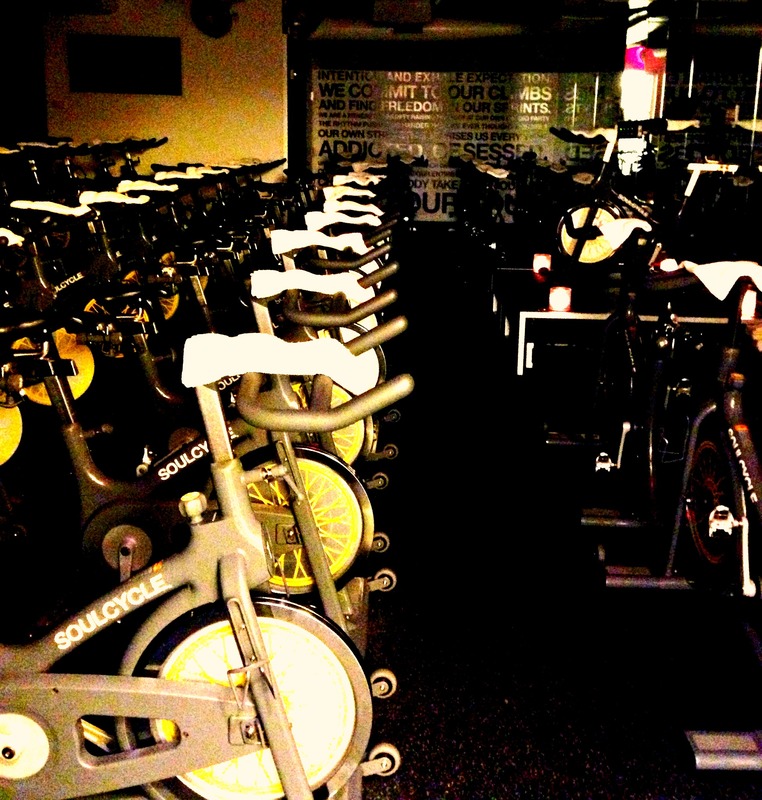 The class took place in the typical soul cycle fashion of a pitch black room with a few candles to help guide your way. The premise of Soul Cycle is to have all of your rides to the beat of the music, which I have to say when you are in the class the music does completely over take you. I loved how the teacher kept us constantly stimulated with trying new and different moves. We would be standing, sitting, leaning back, using our arms, doing crunches, busting out weights, and anything else you could imagine doing on a bike. I left the class feeling completely worked! 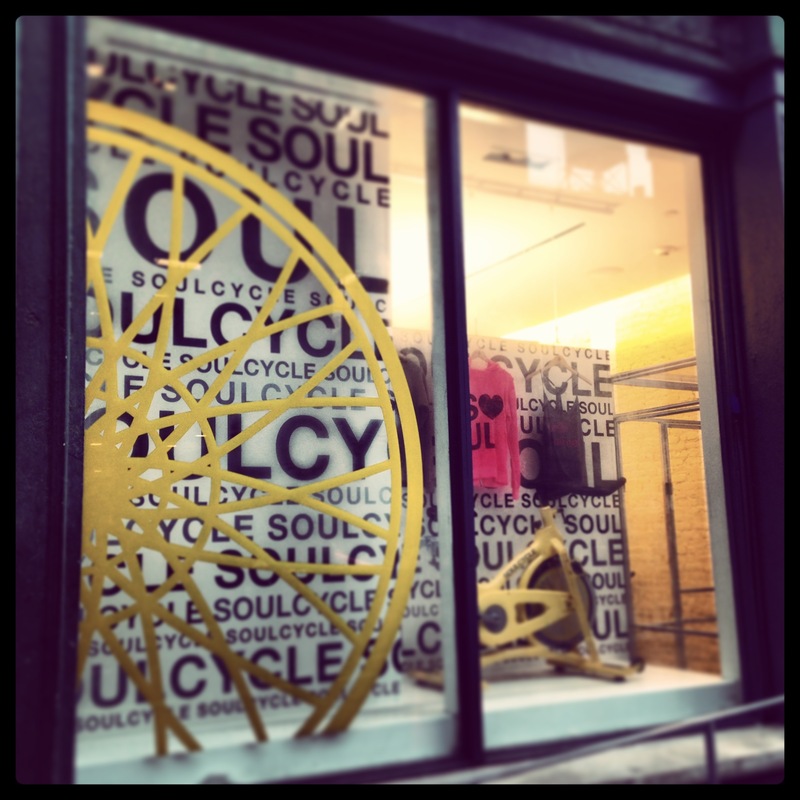 Overall I would give Soul Cycle a 3.9 star out of 5 with the big reason being the cost. 1 class is $34 and you have to pay an additional $3 to rent shoes. They offer no free water or other amenities which makes doing this on a consistent basis hard. However the workout is amazing. They just opened a location in San Francisco which I plan on checking out soon.